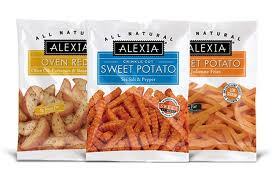 Alexia Products $1.32 at Target with a Coupon & Promotion! Many Target stores sell Alexia frozen products, which are typically around $3.00 a bag. There is a promotion (possibly regional) going on through 1/19 that works quite nicely with this new $1.00 coupon! When you buy one Alexia product, the second one is 50% off. Redeem a coupon on each to save another $2.00. Pay only $1.32, which is a fantastic price!